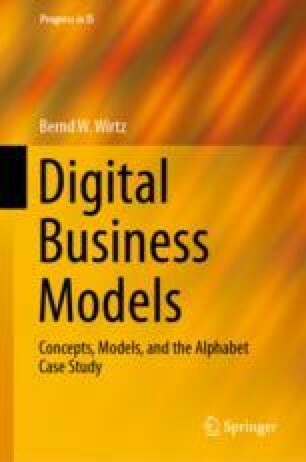 Business models not only are highly relevant in the B2C area, but also in the B2B sector (Timmers in Electron Mark 8(2):3–8, 1998, Timmers in Electronic commerce—strategies and models for business-to-business trading. Chichester, 1999). The main difference lies in the underlying relationship. While B2C business models are based on a range of services to private end users (private clients), B2B business models focus exclusively on transactions between companies (Kian et al. in Mark Intell Plann 28(3):310–329, 2010). Similar to the procedure of deducting the previous 4C-Net B2C Business Model typology that distinguished between the individual value chains and business offers, this section outlines four B2B-based business models that are derived by carefully distinguishing four core business orientations: sourcing, sales, supportive collaboration and service broker.